Should European Commission declare state aid for Estonian Air unlawful, pilots and cabin crews of flag carrier will be invited into a new national airline. «Estonian Air employs excellent specialists. Also, the creation of a new company grants confidence not only to Estonian people but to the employees as a company based in Tallinn wants local pilots and crews,» said economy minister Kristen Michal. Within weeks, economy ministry will establish a national airline – thus far unnamed – to resume business activities of Estonian Air should the latter be found insolvent after state aid is declared unlawful. The government may list the new company on stock exchange. Namely: Estonian Air received €37m worth of various state support but should pay back nearly €43m with interests added. That would be significantly above the €40.7m planned for the airline’s financing in next state budget. In case of a positive decision from Brussels, the government intends to move ahead with protocol with Tallink holding company Infortar pursuant to which the airline will go to the investors Ain Hanschmidt, Enn Pant and Kalev Järvelill already successful in shipping. «No new protocol is planned at the moment, Infortar has been in readiness to invest in case of a positive decision as well as assist Estonian state with knowhow for which we are thankful,» explained Mr Michal. «Should the European Commission decision be negative, then the new company will launch operations and then the state will be able to decide whether to transfer some part of it involving partners, or list it on stock exchange for instance; all options are open,» added the minister. As assured by Infortar, they have not changed the intent agreed with Estonian state a year ago to take over Estonian Air. The investors have gained confidence by the company doing so well this summer as to even post a brief profit. Should Brussels declare the state aid unfit and Estonian Air therefore terminate its operations, the situation would also be altered for Infortar. Infortar is not excluding a deal where Estonian Air will be handed to them for €10, for instance, by way of negotiations. «Such a solution has already upset some people but one needs to consider that we will need to guarantee work for 150 people and the payments of loans and leases,» added Mr Tamm. 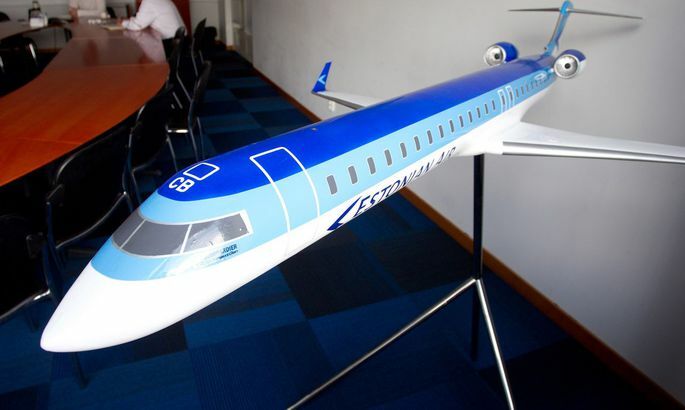 Mr Tamm thinks it right to create a new airline if Estonian Air goes bust because it is the only way to maintain the vital flights connecting Estonia to the world. While covering a third of Tallinn Airport flights, a local company is doubly important regarding meeting the business travellers’ needs. «Of morning departures from Tallinn Airport, Estonian Air covers two thirds. If we’d now lose our own company, the business travellers would take the main hit unable to count on the early flights,» admitted Tallinn Airport’s marketing director Erik Sakkov. «Our own company indeed serves Estonians’ interests first, as none else would do with such dedication,» he added. Estonian Air’s CEO Jan Palmér confirmed he was steadfastly working towards reorganising the company and has drawn no new personal plans regarding possible changes. Analysts observing the fate of Estonian Air include pessimists who think the company cannot escape bankruptcy no matter what European Commission will decide. If Estonian Air gets €40.7m from the state tomorrow, it must immediately pay back €37m of loans and €5.9m of interests, totalling €42.9m. At the moment, Estonian Air’s cash position is about €9.2m. At the beginning of the year it stood at €13.7m. After the loan is paid back, only seven million will remain. But in May 2014 Estonian Air paid SAS back part of its loan — €2.1m — and the deadline for the remaining €6.3m was extended to January 2018. According to an analyst requesting anonymity, SAS has the right to demand premature repayment of the loan if Estonian Air is unable to prove it is able to pay it in time. «After SAS requiring premature payment of the loan, Estonian Air will only have a million euros left, just enough to pay Mr Palmér his salary,» said the analyst.